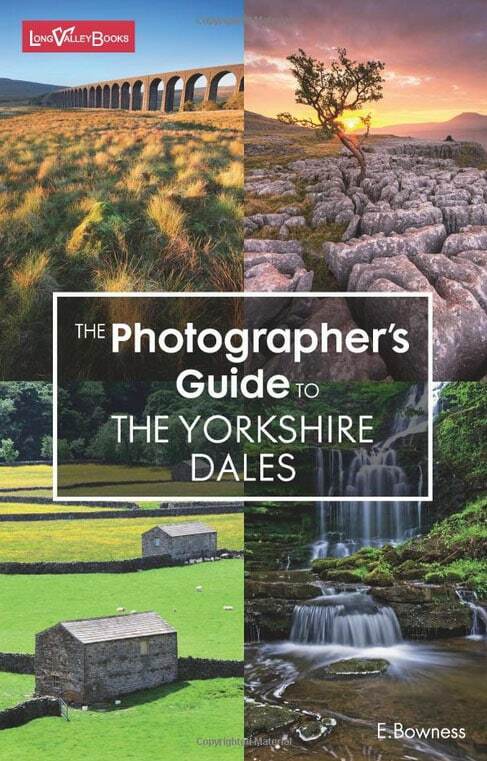 The Photographers Guide to the Yorkshire Dales by E. Bowness is part of the “Photographers Guide” series. It’s immediately recognisable and follows the proven style and layout. The size and weight make it the perfect guide to carry with you in a pocket and all the important information is there. If you want to understand the features and information in the book take a look at my review of the guide for the Lake District. This guide to the Yorkshire Dales is just as good as the Lake District guide and covers 56 photographic locations. Each location in the book’s described in a good level of detail. I recently visited the area for a four-day photography trip with a friend. Whilst we knew the area to some degree, we found out much more by using this book. It helped us find new locations that we hadn’t previously visited. It also helped us see familiar locations in a new light. As with many landscape photography trips, planning is a critically important aspect. Using this book, we were able to plan a series of locations, visiting each at the best time of day. We also had backup locations in case the weather turned or wasn’t suitable. One aspect of the book that was very useful but totally unexpected was the advice about where to park and how long it takes to walk to the location afterwards. I would say it saved us from costly mistakes several times and helped us fit in more locations over the four days. In short, don’t travel to the Yorkshire Dales without this guide in your pocket. You can find more photography book reviews on the Book Reviews page. If you have a personal favourite that I haven't covered, send me the details to consider for a future article.